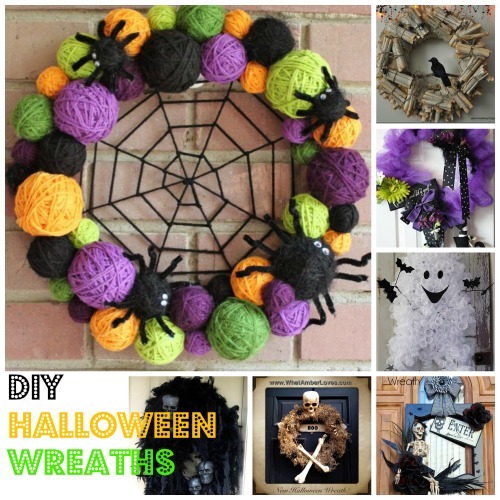 A Styrofoam Wreath – find them in most craft stores. Any other accessories you want to add to the scare factor. 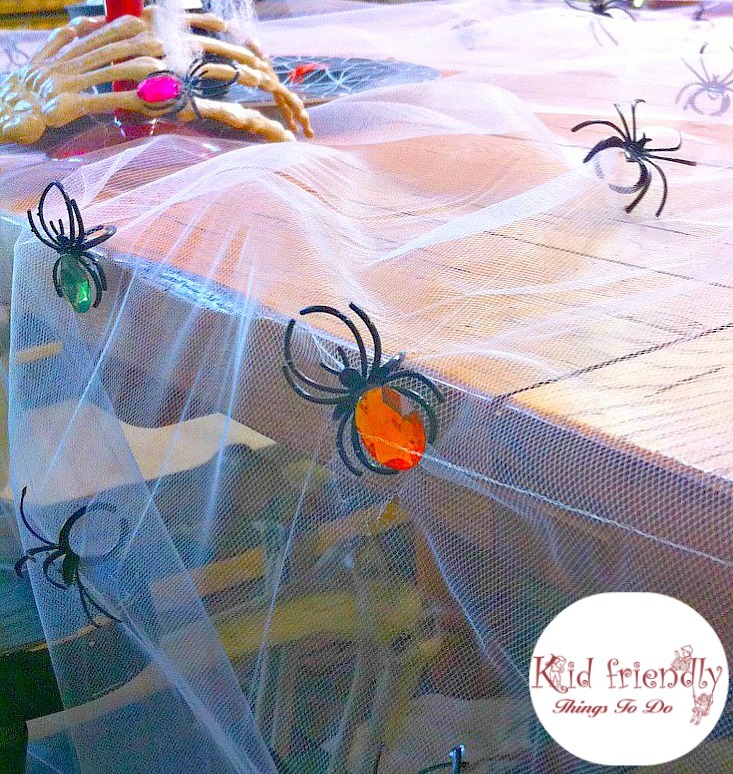 We used some sparkly spiders to crawl down the ribbon! 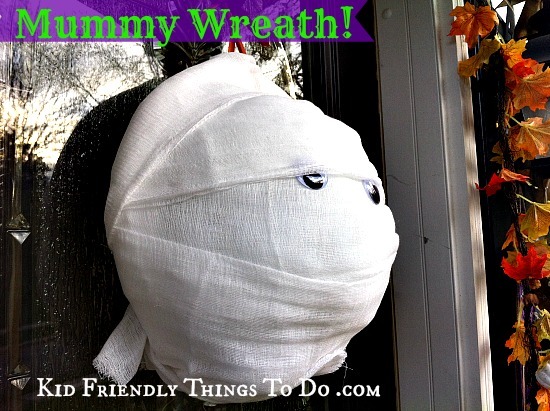 Cut a long section of your ribbon to hang the wreath from. Place the ribbon around the wreath, and even out the ends. Glue the ribbon to the wreath to secure it. Now, Add the white felt to the back of your wreath, glue to secure, and trim any edges that might show in the front. Flip the wreath back to the front. 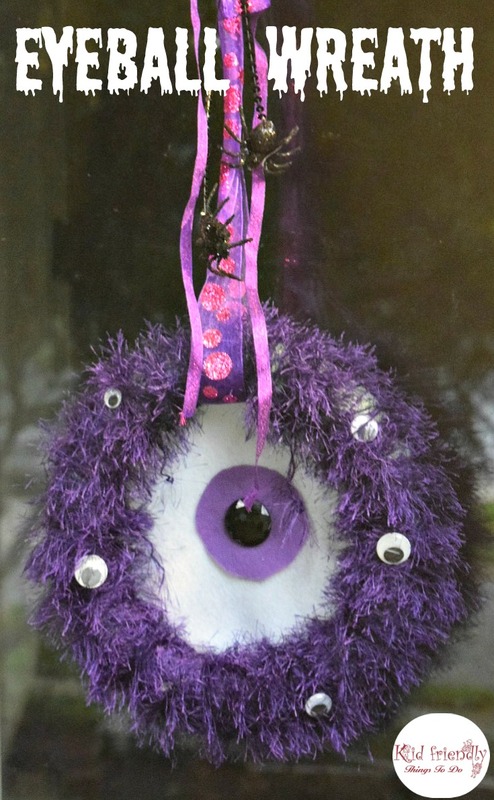 Add your black button to the center of the lavender circle for the finishing touches of the big eyeball!